Our website has a wide range of minutes writing a template that can always come in handy and can be of great use to you. These templates are available in different styles and patterns and have complete and proper formats for you so that your work becomes easy and saves you a lot of time. You can select your desired template from a list of templates for your work. 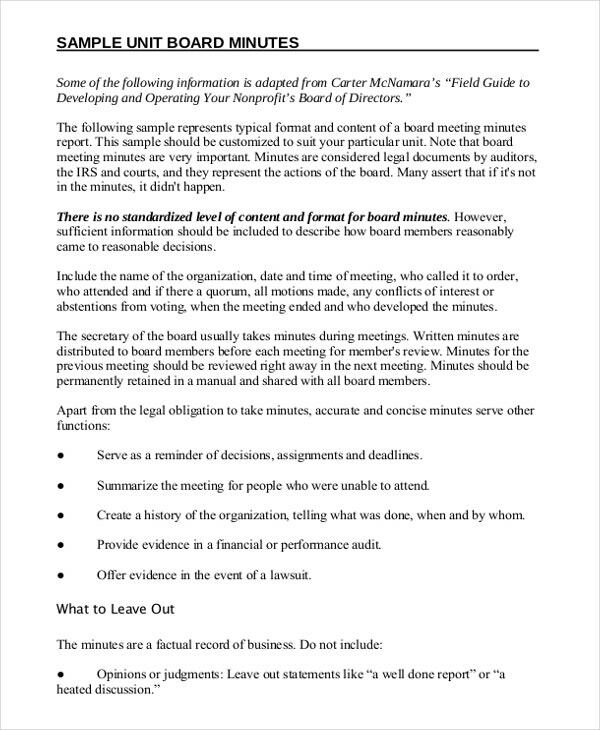 You can also see Corporate Minutes Template. These templates have wonderful resolution and excellent print that helps you in the beautification and stylization of your work. You can download, edit and also design it and print these templates in DOC format. You can also see Minutes Template. 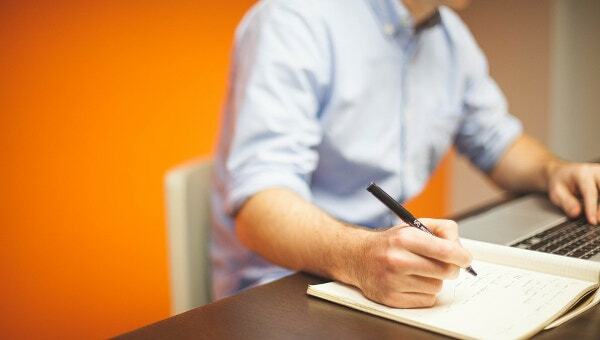 The informal writing minutes usually deal with general and meetings held on a basis minutes. 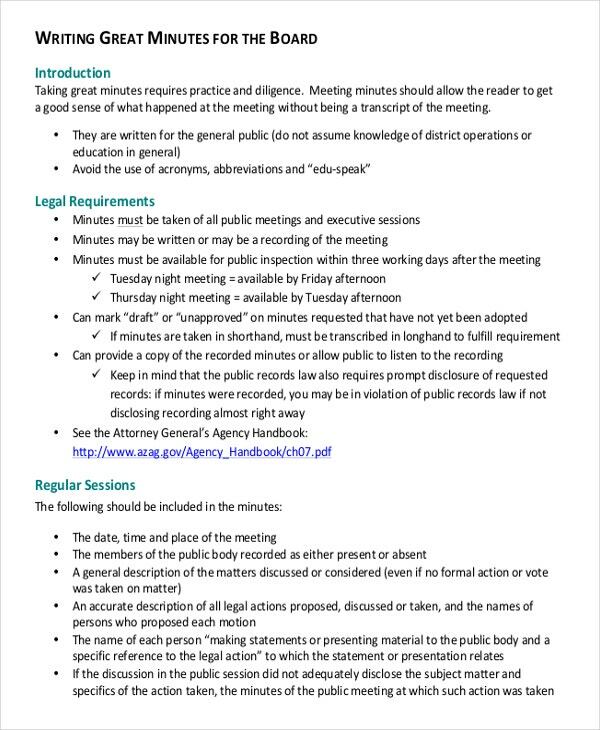 These minutes usually include a small summary of all possible things such as requirements, discussions and questions during a meeting. The formal writing minutes deal with unlimited important and confidential meeting that need to be taken care of. These documents are very important and come in bulk. 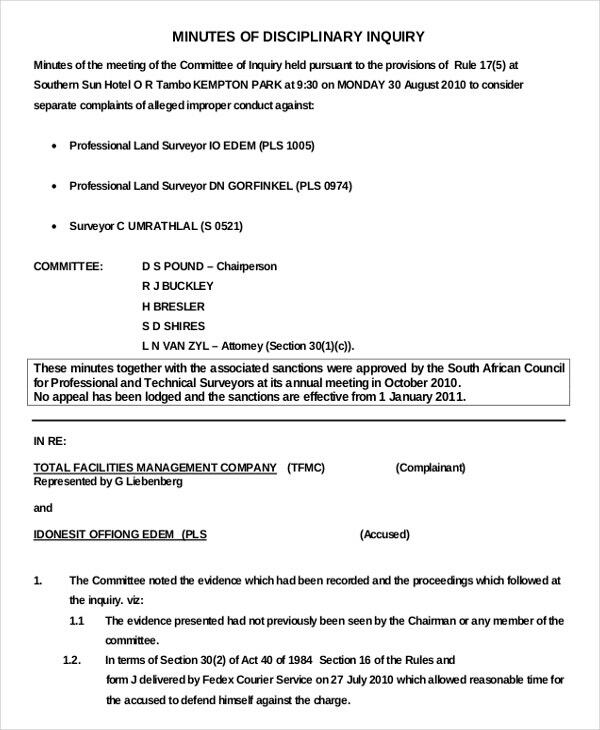 These bulk documents are taken down as working minutes to keep a record of. This way the templates are always digitalized and act as a backup. Pre meeting writing minutes deal with all the resources needed for the meeting. In short it acts as a reminder for all the plans made and the steps in which the meeting should proceed. This helps as a checklist in case somebody misses out something. The post meeting writing minutes deals with the discussions that happened during the meeting, the decisions taken during the meeting, the alterations taken place. Each and every detail that takes place during the meeting is noted down in the post meeting writing minutes. 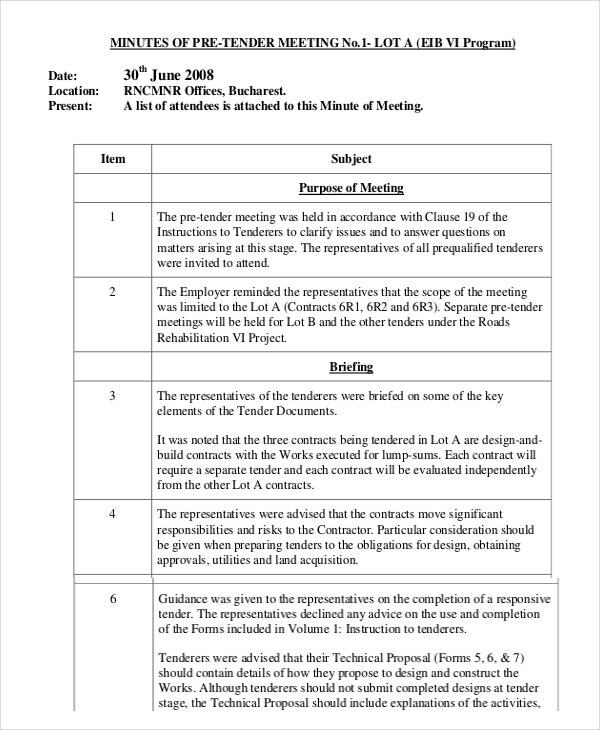 The summary writing minutes deal with a brief explanation of what all took place during a meeting. 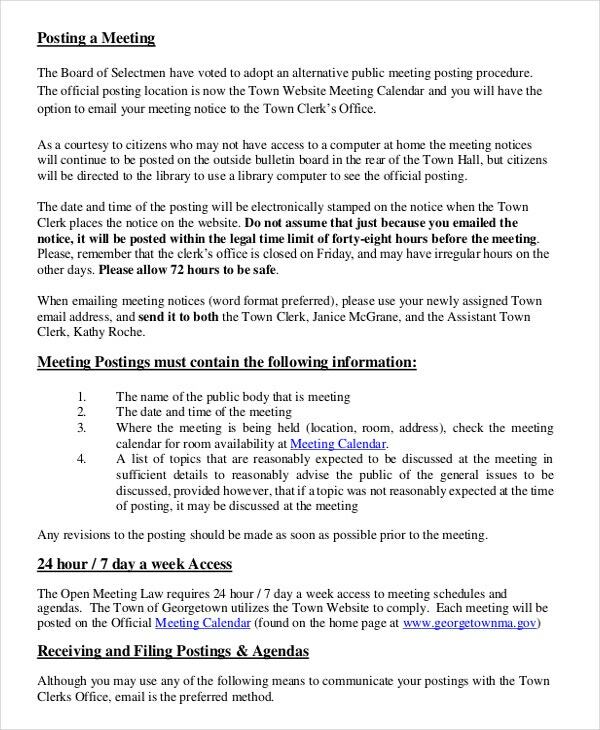 The summary does not have much of detailed information, it is just to keep the officer in charge aware of the important points of the meeting. 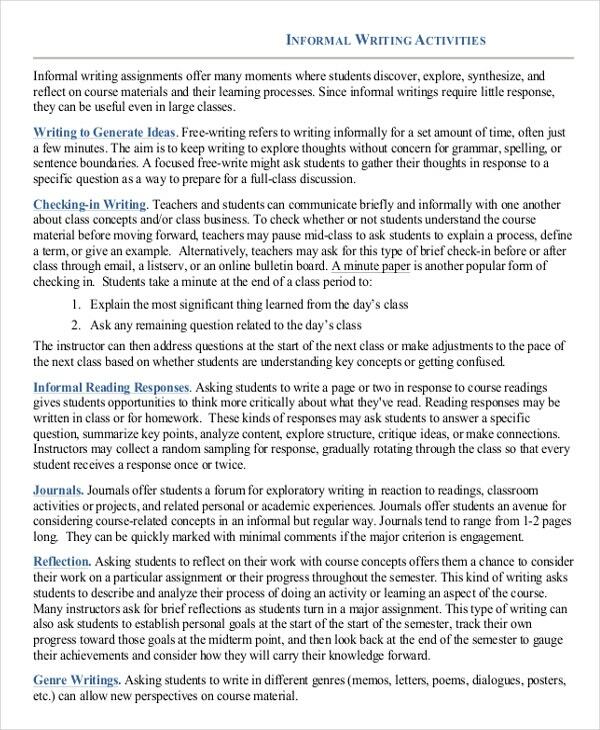 > How do Writing Minute Templates Benefit us? These templates are very beneficiary in terms, of keeping the staffs and the regular officers and employees updated of whatever is been done in the office. 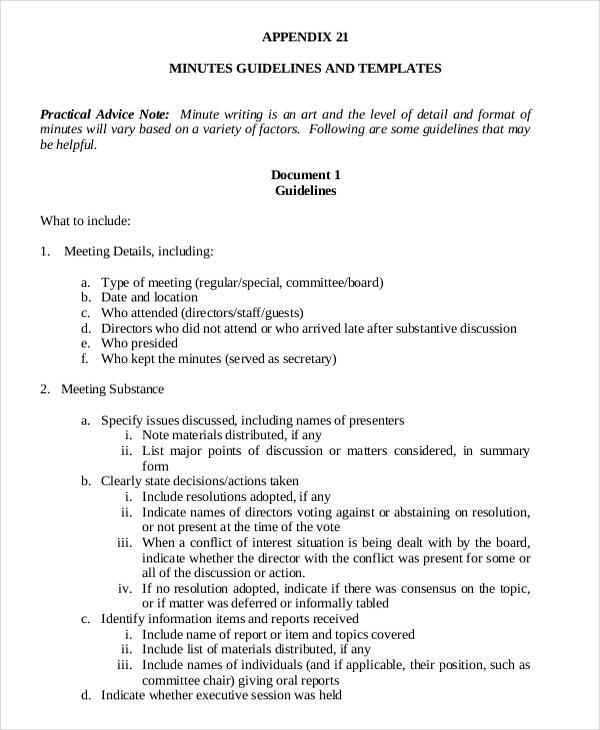 From meetings to appointments, from selection to rejection of staff and officers, from alteration of rules to making of laws, everything is added in writing minute templates. 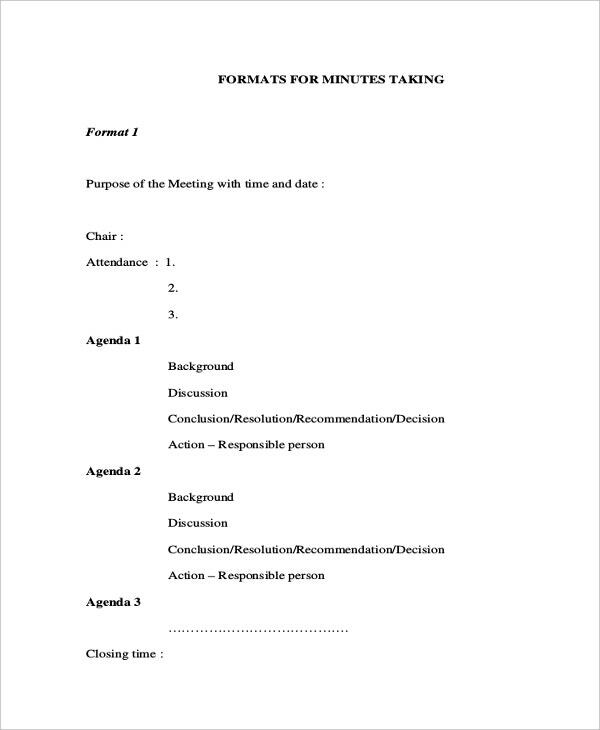 You can also see Informal Minutes Template. These templates act as a superb reminder and the best way to store bulk information in less space. They act as a check for officers and employees, and also act as a guide to make new rules and reference for alteration of laws. These writing minutes tend to have perfect records of everything that is done in the office since they are very easy to use, and maintain. > How to make Writing Minutes Templates? 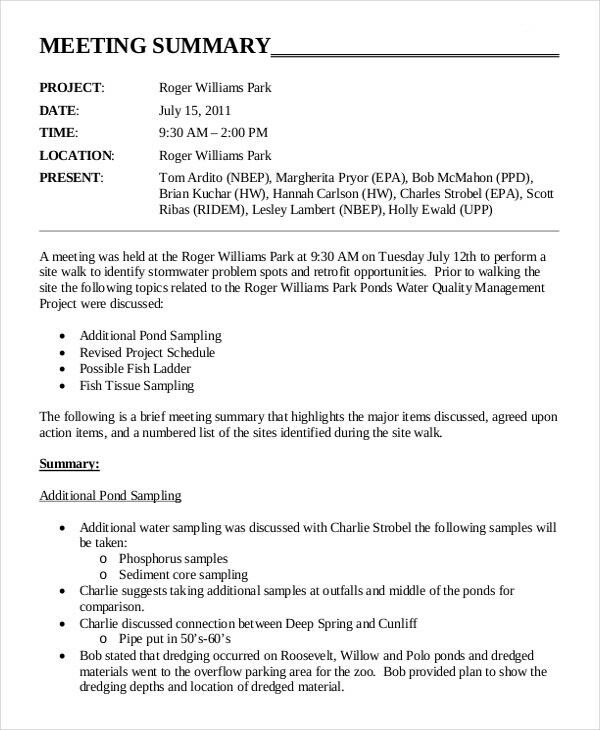 Fill in the details of the venue, date and time of the meeting. Add in the place as well if required. Print out the required document when you are ready to go or simply attach it to an online document and store it for future references. The writing minutes templates is the best decision one can take for storing information and keeping records. It is very difficult and time consuming to do everything manually, hence the pre- designed writing minute templates is the best option to choose. It has proven to be a great success after attaining great reviews in the past and still attaining great reviews at present. It is available in almost every format that makes it very popular and user friendly. 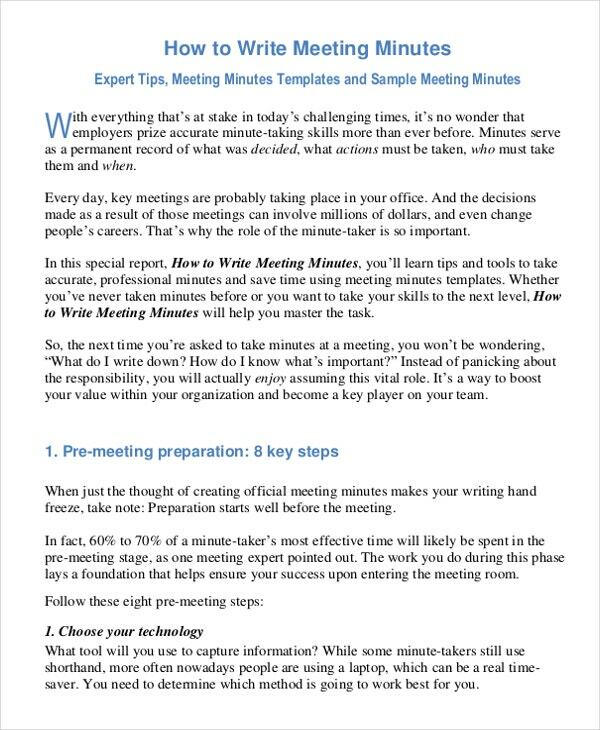 You can also see Meeting Minutes Template.